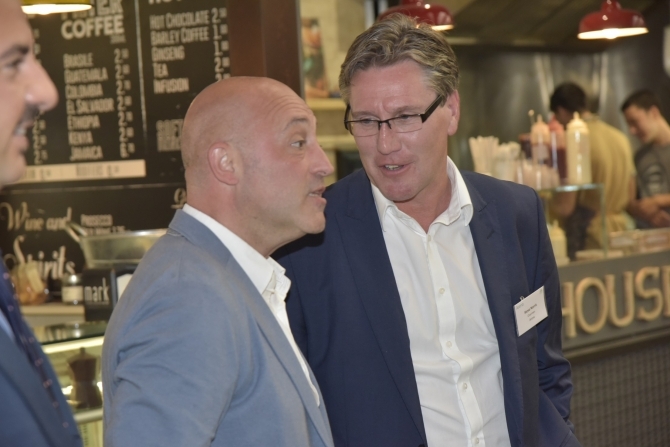 New eating out concepts and trends are being introduced all the time and Mercato Metropolitano has quickly become the choice destination for discerning food lovers all over London. 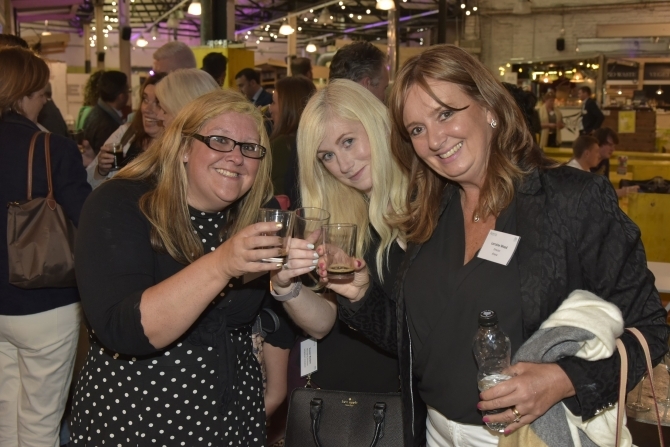 An Evening at Mercato Metropolitano was a new and very different event direction for Arena. 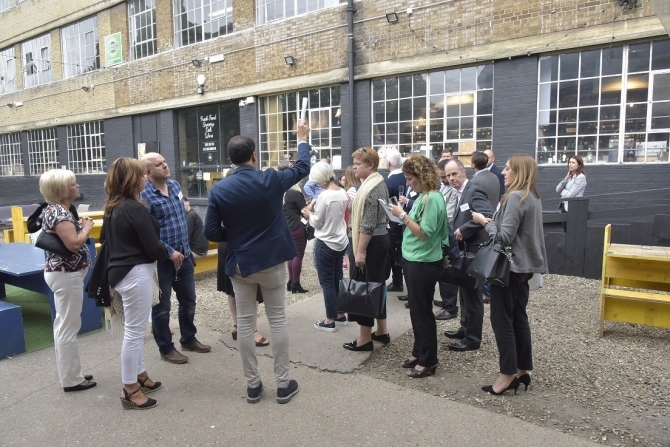 Guests experiencd the inspiring space, heard from its founder, Andrea Rasca, who is also one of the founders of the world-famous Eataly market food halls, and mixed with industry colleagues in a smaller and more informal setting. 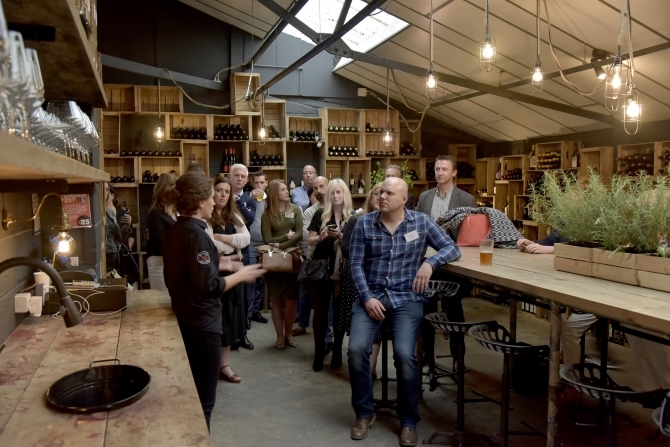 Following an evening of great food, wine, craft beer and interaction, it was clear that the change was a resounding success. 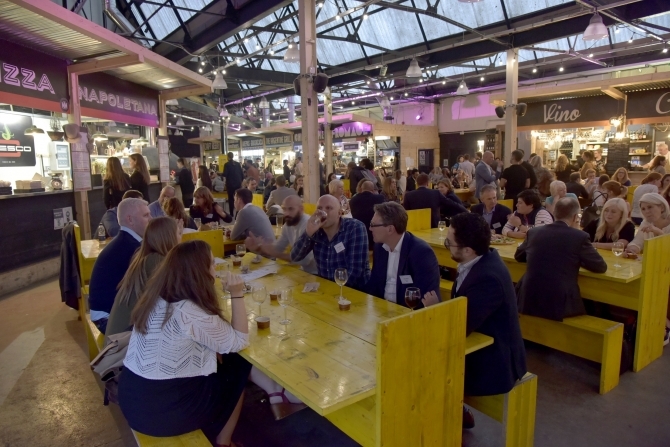 If you’ve never been to London’s Elephant & Castle district, then we’ve discovered the perfect reason to visit – Mercato Metropolitano, the destination for the latest Arena event. 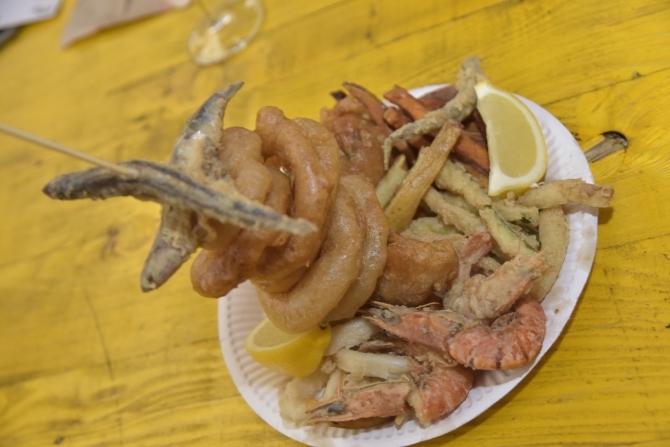 Located on the Newington Causeway, Mercato Metropolitano is a vibrant, colourful food oasis brightening up the urban community. 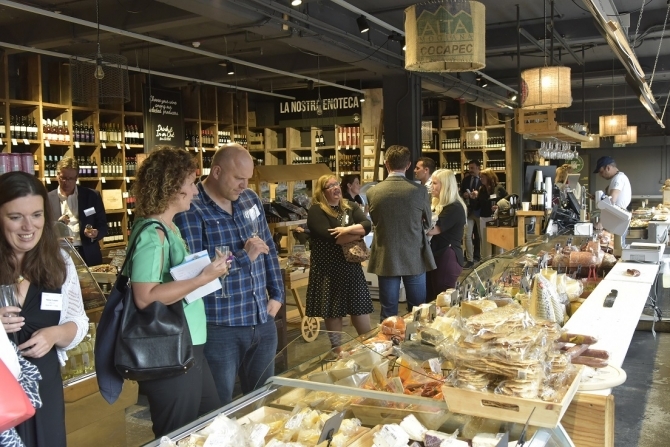 Attracting people of all ages and backgrounds, visitors to this on-trend food market share important common, bold values; a love of fine, artisan food and drink created by small, innovative producers and a strong belief in community and sustainability. 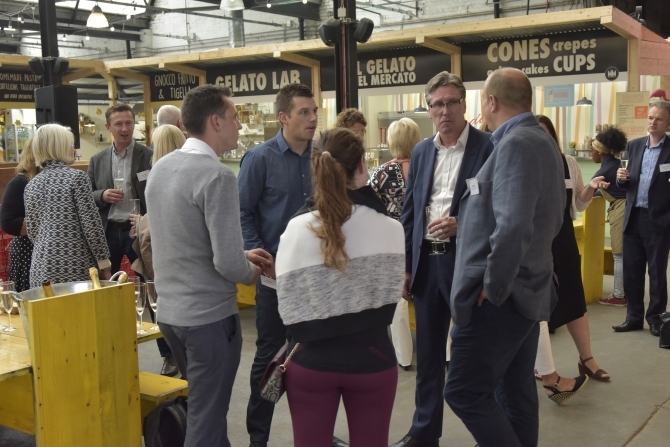 ‘An Evening at Mercato Metropolitano’ was a new and very different event direction for Arena, as director, Lorraine Wood, explained when she opened the smaller, more intimate networking event. 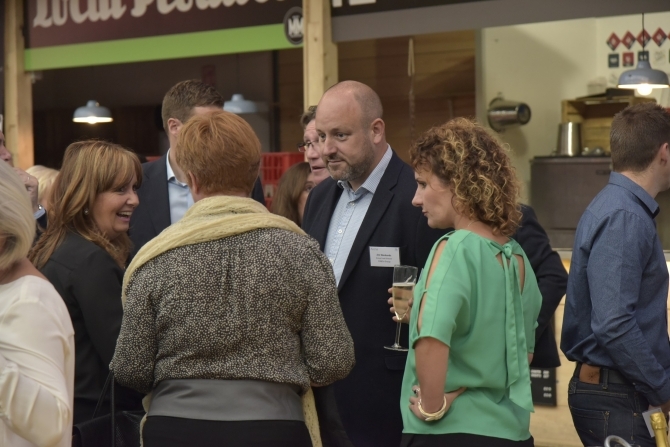 And, following an evening of great food, wine, craft beer and interaction, it was clear that the change was a resounding success. 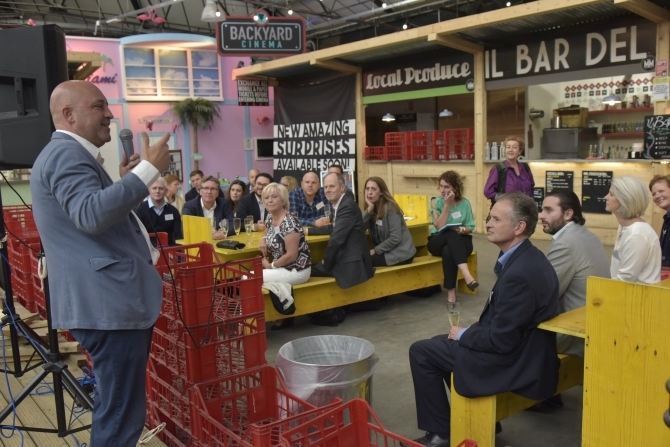 Kicking off the proceedings – as guests enjoyed a glass of Prosecco and sampled the discussion-provoking gnocchi fritti – the founder of Mercato Metropolitano, the charismatic Andrea Rasca, introduced his community-based market, where people eat, drink and buy great artisan produce, and shared the values and obvious passion behind it. 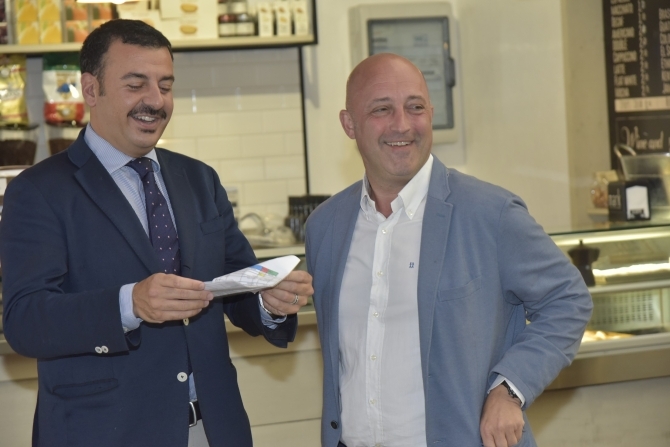 Andrea has been working in the food industry for over 25 years and is the mastermind behind the successful world-wide food halls, Eataly, and Mercato Metropolitano in Turin and Milan. The Elephant & Castle site, however, is his first venture into the UK. 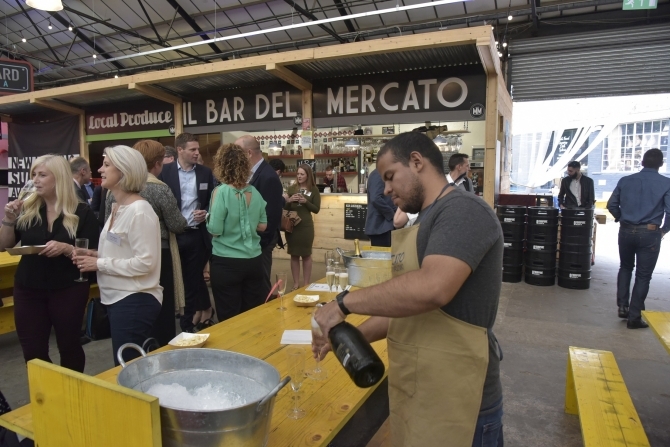 Home to both Italian and local food businesses, Mercato Metropolitano is an ‘incubator’ for testing artisan products in London. 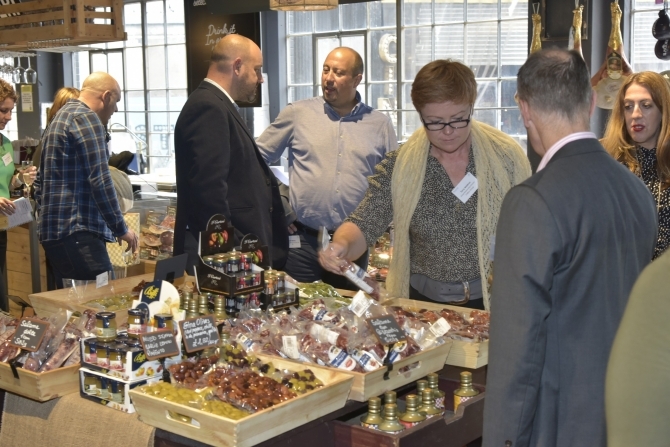 It’s all about giving small producers, who cannot access the big supermarkets, the opportunity to showcase their exciting wares. 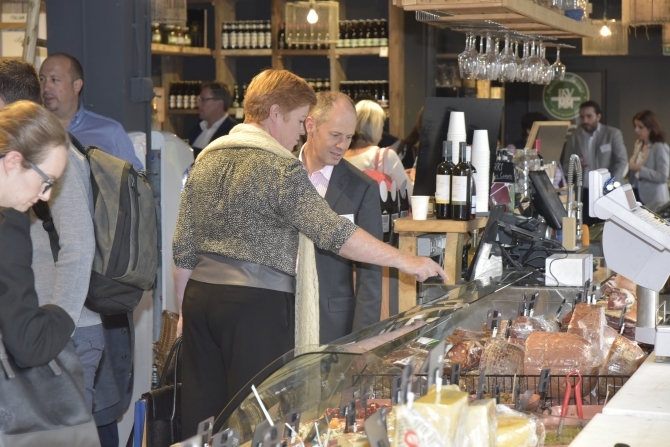 When bringing new producers into Mercato Metropolitano the following questions are always asked, in this order: How good is the product? How natural is the product? How artisan is the product? How local is the product? How organic is the product? 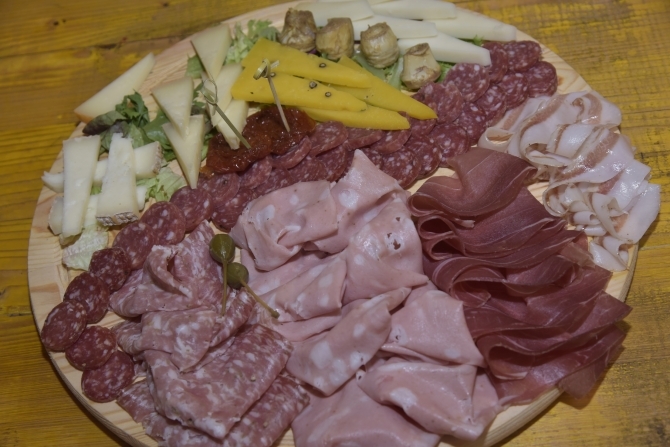 Andrea said: “I don’t believe Italian is necessarily the best food but Italians have the knowledge of variety and biodiversity and understand what’s good for the diet. It’s also a real community hub, designed to encourage eating and sharing. 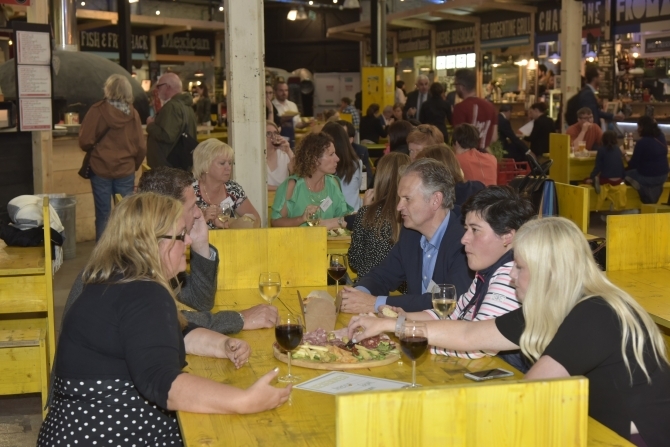 The large, bright yellow bench tables allow people to sit and eat together, which is rare at artisan food markets, and the fact that there’s no Wi-Fi is not a mistake – with no WiFi, you have to put down your phones and talk! The results? A tangible, electric atmosphere. 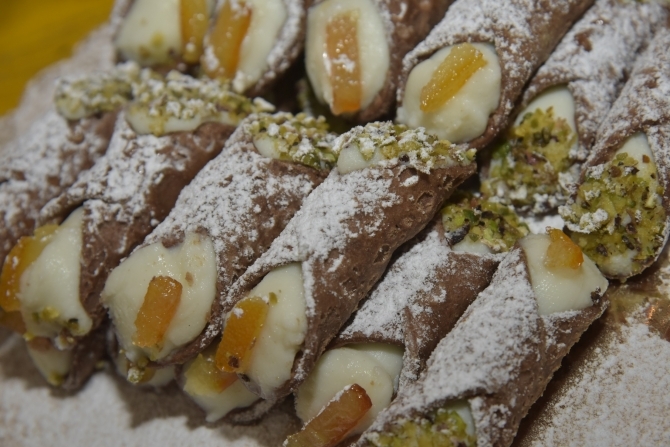 Community is the fibre of Mercato Meropolitano. The Community Cookery Kitchen, for example, teaches students and local children the basics about food, from knowing how to read a food label to hands-on cooking, with the food created sold in the market’s shop. 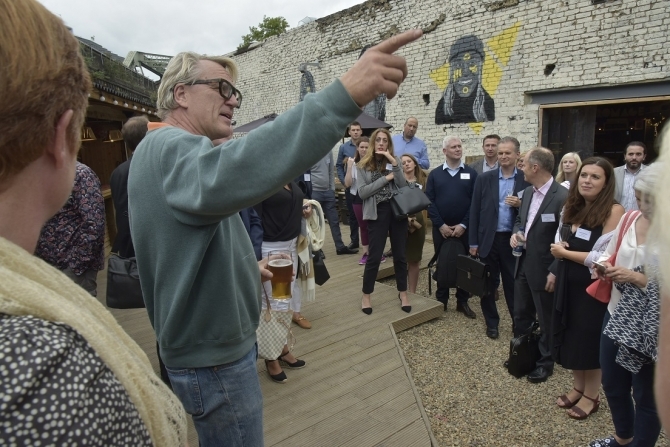 The vast site also features the popular Backyard Cinema, a boxing gym and space for parties, and very soon, office/working space. 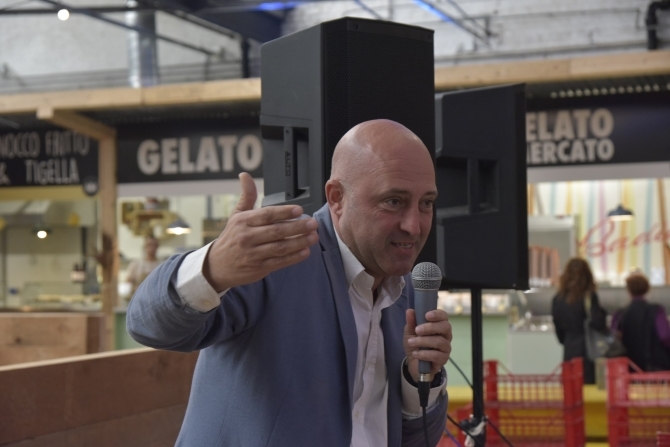 Sustainability is also at its core and Mercato Metropolitano is bold in its approach and ambitions, one of which is to achieve zero food waste status. 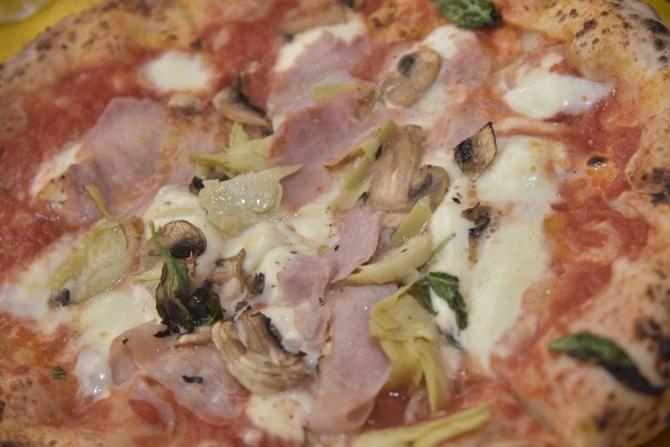 The mushrooms on the pizzas, for example, are grown in its mushroom farm that uses the waste coffee grounds. 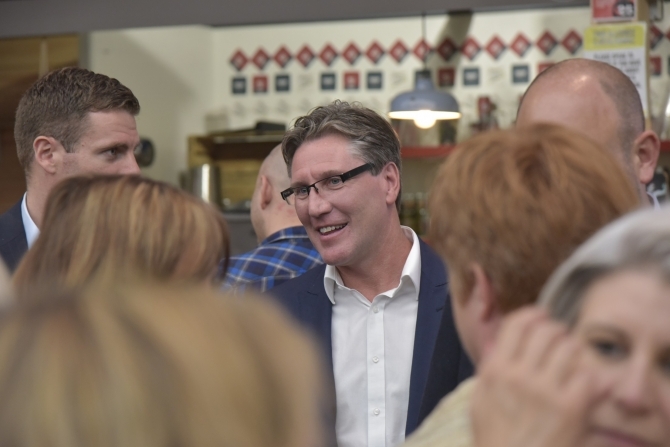 The market’s brewery, which is currently under construction, will produce traditional fresh German beer with a modern twist, whilst harnessing the waste heat from brewing for the water distillation process and to provide hot water to the boxing gym showers! 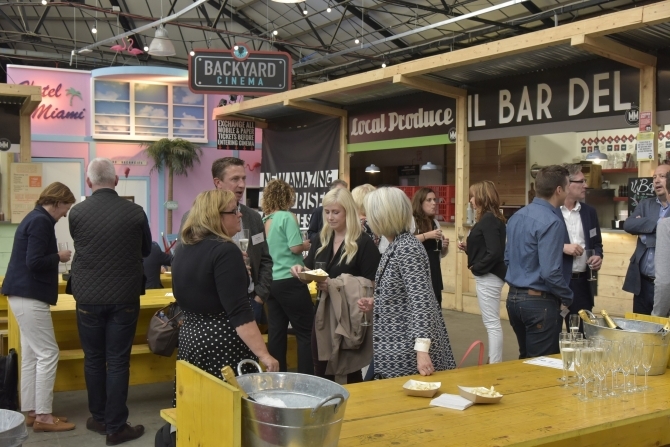 Mercato Metropolitano’s first anniversary will be celebrated with a weekend sustainability festival, starting with the largest ‘Disco Soup’ in London on Friday 15 September, in collaboration with Sustain and Feedback charity, to highlight food waste and thank the community for welcoming the project. Over 100 volunteers will prepare soup using leftover vegetables to be enjoyed, free of charge, by over 1000 people from the area and beyond. DJs from the market’s neighbour, the famous Ministry of Sound nightclub, will provide the night’s entertainment. 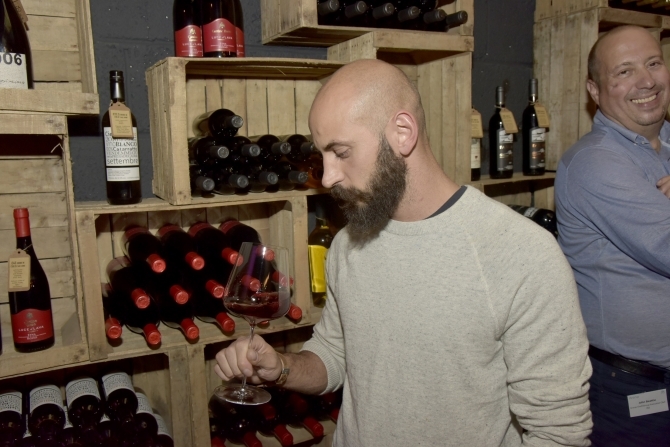 Andrea has his sights set on opening at least ten more Mercato Metropolitanos globally in the next three years, but the plan is not to invade areas but to open as part of the community in each country, as he’s done in SE1. 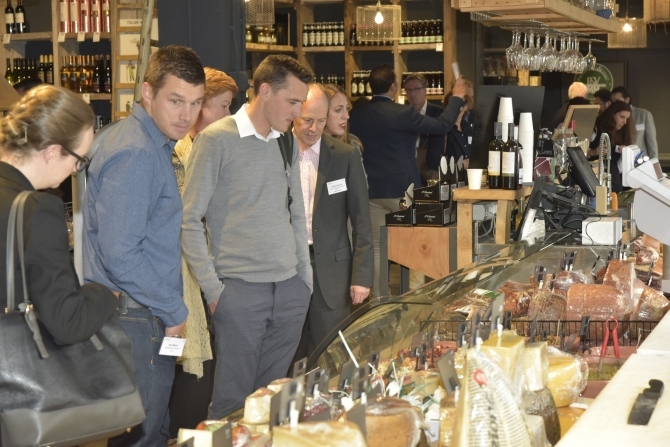 Following Andrea’s introduction, guests were taking on a fascinating tour of the market, which took in the Prezzemolo shop, which is home to a stunning array of international artisan produce, the food halls, wine bar and Community Cookery kitchen. 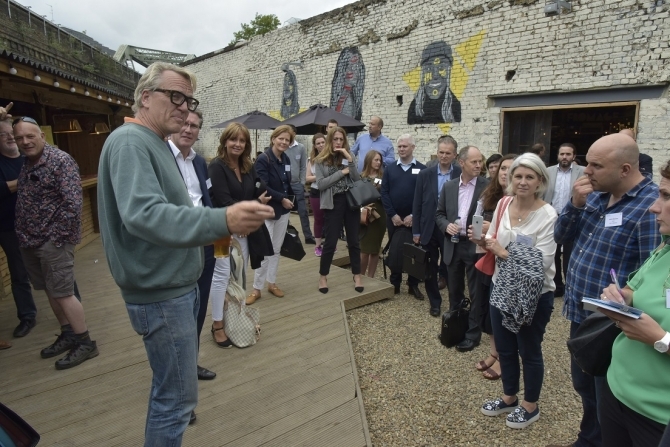 On route, they learned about the products and the community and sustainability plans for the ever-evolving market. There was also the opportunity to sample unique craft beers, including one at 10% ABV! 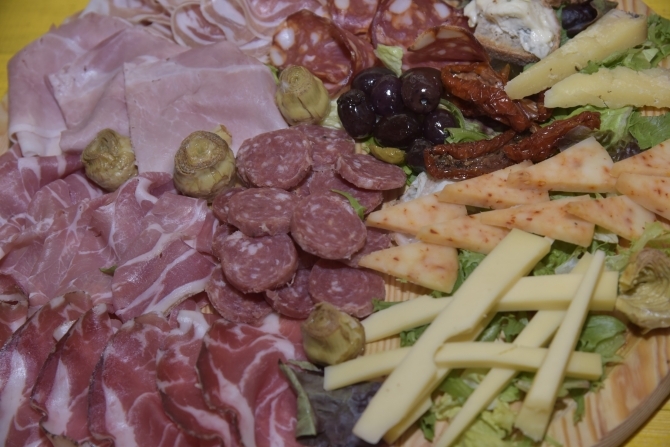 After the tour, which tantalised the senses, the party of foodies was treated to an incredible spread of delicious artisan food and wine to share, including fish, seafood, antipasti, pizza and gelato. 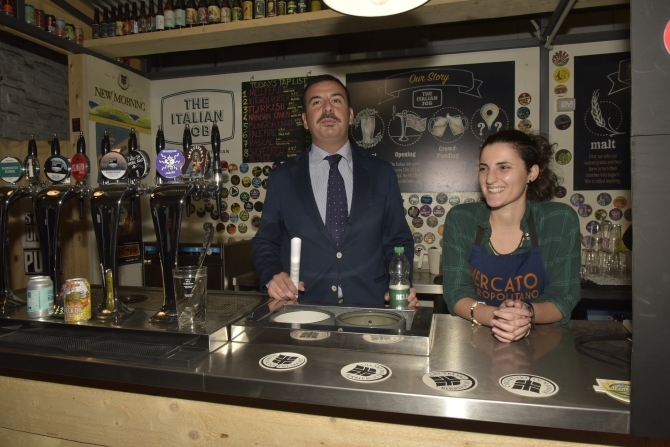 And, it was soon apparent that the principles of Mercato Metropolitano work. 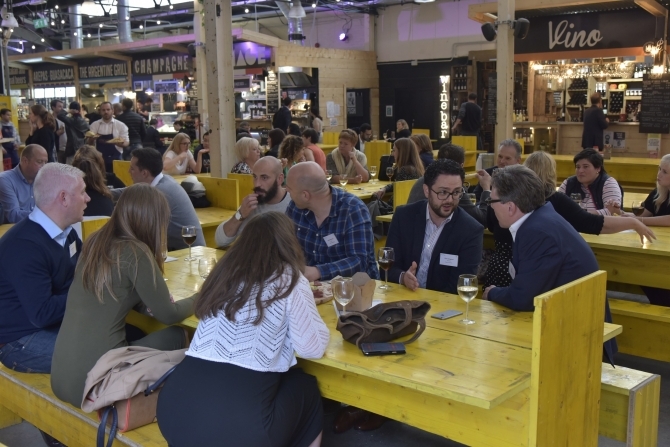 Sat around the large, yellow tables, there was a fantastic buzz as conversation flowed, great food and experiences were shared and new connections were made. 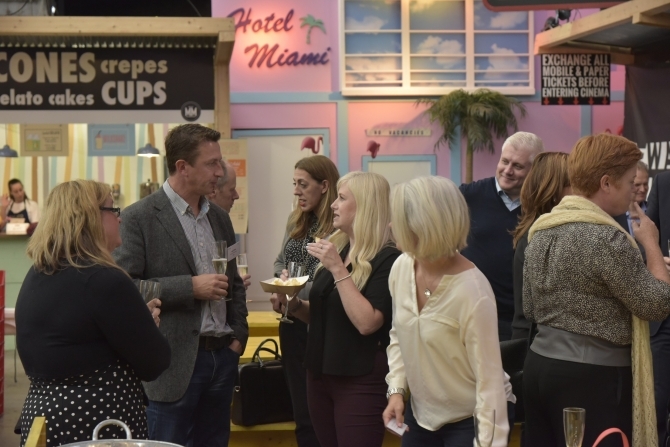 Mercato Metropolitano is a dynamic, ever-changing market that is definitely worth a visit. 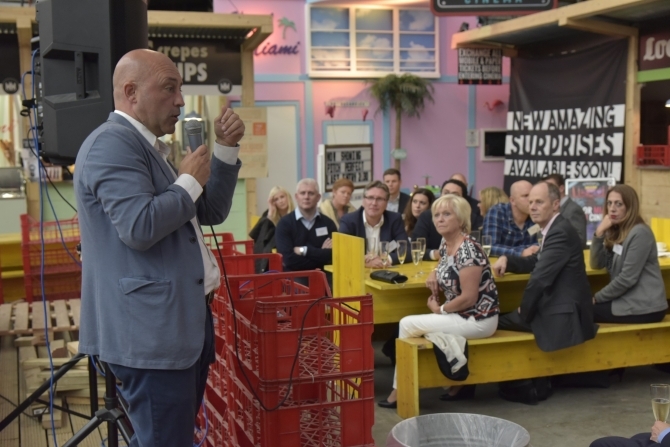 With a strong purpose and culture, it’s made a positive mark on Elephant & Castle’s community and London’s food scene, and we’ll certainly be returning in the not-too-distant future to see what’s new and what’s next in its exciting pipeline!